Emcom 3 & 4 dressing is used to cover any general wound on any part of the body. EMCOM 3 & 4 dressing is used to cover any general wound on any part of the body. Each wound dressing requires five components:- Antiseptic, Gauze, Cotton pad, Bandage, Tape to anchor. Emcom dressing has all five components built into one with an additional component of starting adhesive strip to hold the starting end in place. 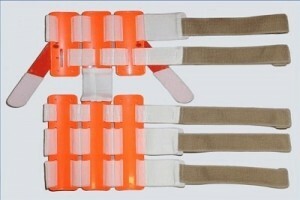 With help of starting adhesive strip it can be easily applied with one hand or with least assistance.